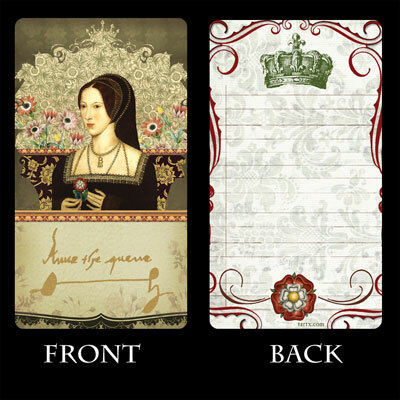 Whether for an exciting occasion or just to jot a little note for that special someone there are endless uses for these sweet enclosure cards featuring Tiffini Elektra's (TartX) collage of the portrait of Anne Boleyn holding the rose. 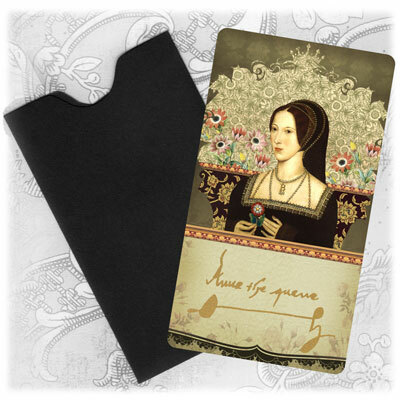 These fabulous enclosure cards come packed with color coordinating mini card sleeve envelopes. Dimensions: 3.5" x 2" satin matte, 15 pt. professionally printed card stock with rounded corners. Best Price: 10 packs (100 cards) for $72.00 - a saving of $18! See "More Details" for slideshow showing front and back views of gift enclosures. Designed and made by Tiffini Elektra (TartX) in Colorado, USA, and shipped worldwide.